Sudden Cardiac Arrest (SCA) often strikes without warning. 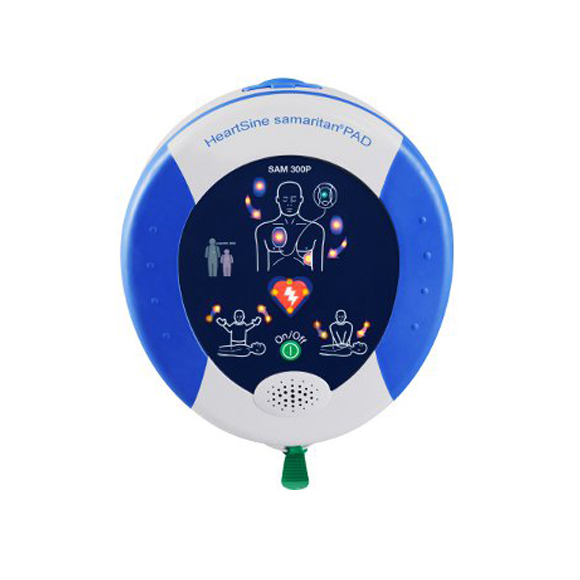 There’s little time to react and no time to think, so it’s important to have the HeartSine® samaritan® PAD 350P defibrillator on hand. Please call 1-800-695-5655 or email us for additional information and pricing. SCOPE™ Technology – HeartSine’s unique biphasic waveform. Developed through extensive experimental and clinical testing, the SCOPE system gives unrivaled performance and optimizes the chances for defibrillation success. 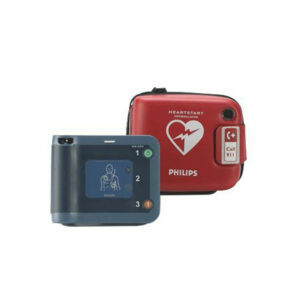 The samaritan PAD has a rating of IP56, providing the 350P defibrillator with the highest level of protection from dust or moisture ingress in the industry. The 350P uses HeartSine’s practical Pad-Pak™, which incorporates the battery and electrodes in a single-use cartridge – meaning only one expiration date to monitor and only one item to replace after use. The 350P is suitable for use on adults and children. For children younger than 8 years or weighing less than 25kg (55 lbs. ), a Pediatric-Pak™ is available. The HeartSine samaritan PAD is an automated external defibrillator (AED) that analyzes the heart rhythm and delivers an electrical shock to victims of Sudden Cardiac Arrest in order to restore the heart to normal rhythm. The rescuer turns on the HeartSine samaritan PAD. Clear, calm instructions guide the rescuer through visual and audio prompts. 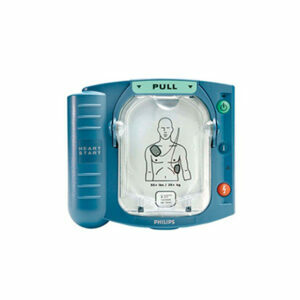 The system guides user from pad application to shock delivery, if required. In addition, a CPR tone and flashing icon coaches the rescuer in delivering chest compressions according to ECC 2015 Guidelines. It’s lifesaving, pure and simple. 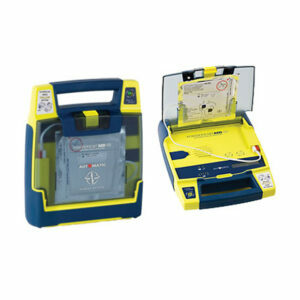 Compact and lightweight – 28-56% smaller than other AEDs on the market and weighing only 1.1kg (2.4 lbs.). Easy to use —Audio & visual Prompts guide the user step-by-step through the rescue process – 3 large, easy-to-see icons illuminate – “Attach pads,” “Do not touch the patient,” and “It is safe to touch the patient” to facilitate the rescue process. Sophisticated SCOPE Biphasic waveform technology adjusts patient impedance to maximize effective shock delivery. HeartSine’s practical Pad-Pak combines battery and electrodes into one cartridge – one date to monitor and only one item to replace on expiration or after use. 10-year warranty as standard clearly demonstrates the reliability of this quality unit. Drop tested in accordance with IEC 60601-1. Field upgradeable to the latest AHA/ECC guidelines. 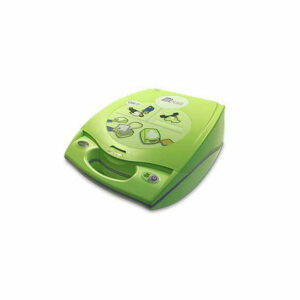 Controls and electrodes are accessible even with your HeartSine samaritan PAD still in the case. Integrated metronome prompts the CPR chest compression rate. Events are recorded with the time, date, ECG trace & duration, shock delivery information, and CPR intervals. This information is downloadable to a PC with optional SAVER® EVO software. Please call 1-800-695-5655 for additional information and pricing.